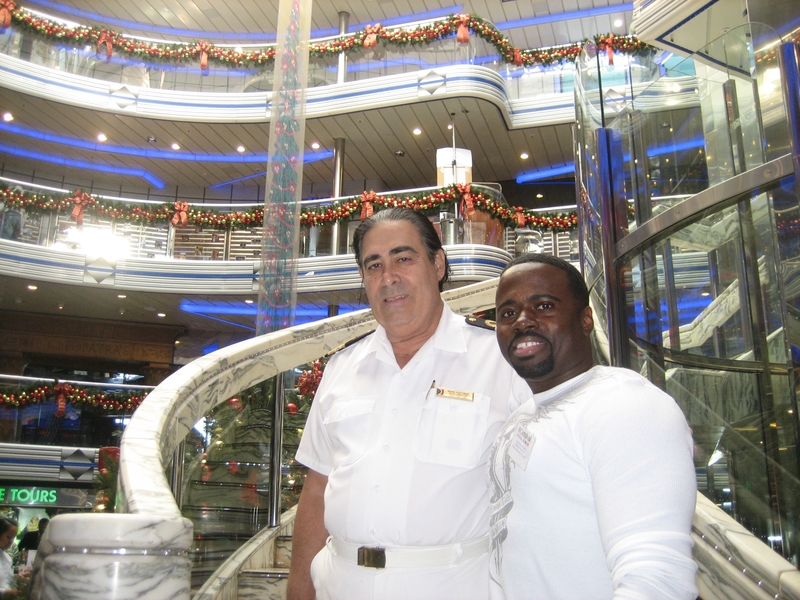 As part of Carnival Cruise Lines’ “Give Fun Back” radio promotion – which awarded deserving New Orleans residents with free “Fun Ship” cruises – Larenzo Carter, a detective for the New Orleans Police Department, was the guest of honor aboard the Carnival Fantasy, which operates four- and five-day cruises from New Orleans. Carter, whose VIP treatment included a multi-course lunch and a personal tour of the ship, is pictured here in Carnival Fantasy’s seven-deck-high atrium with Hotel Director Mark Hoffman. Carnival partnered with five New Orleans radio stations on the “Give Fun Back” promotion in which listeners could submit nominations for those individuals who deserve a Carnival vacation. Carter, a resident of Kenner, La., was one of five winners selected to receive a free cruise.